The Case of the Missing Sock! 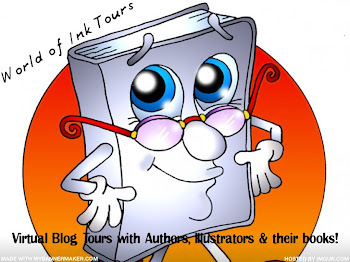 Thank you to Sequoya Elementary for the great author visit we had this week. 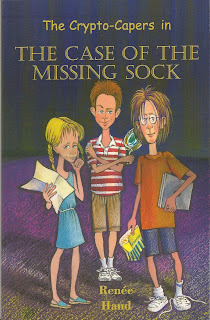 The students read my book The Case of the Missing Sock. It is book 1 in my Crypto-Capers Series. The students asked me questions about the book and about being an author. What a great day! The Team: In this story siblings Max and Mia Holmes, along with their good friend Morris and their flamboyant Granny Holmes, are known as The Crypto-Capers. They are a group of detectives who unravel crimes by solving cryptograms that criminals leave behind. Mia is an expert puzzle solver. Max is great at deduction and reasoning. Morris is a computer genius, and Granny . . . well, Granny is the muscle of the group. Don't let her size or age fool you she is quite handy. The Stolen Items: An antique sock (just one) and Prada sunglasses. The Assignment: The Case of the Missing Sock leads the Crypto-Capers to Florida, where they are hired by a Mr. Delacomb. The mystery leads the team to different locations. Clues flourish throughout the mystery. Suspects by the handful seem to pop up at every turn, but who committed the crime? Help the detectives solve the case by solving the cryptograms and puzzles. Good luck!